You are here: Home / Basketball News / Sports News / Did You Bet on NBA All Star full of Entertainment, Record, and Farewell? If you have bet on NBA All Star before last weekend and your favorite team was Oklahoma City Thunder, you must have a big celebration due to Russell Westbrook’s great success. But there are many other remarkable achievements to commemorate actually, so if you missed it, join the millions of NBA fans next time and bet on NBA online. In the 65th edition of the biggest basketball event, NBA All Star, the Western Conference won over the Eastern Conference (196-173) and Russell Westbrook got the title of the NBA All-Star Game Most Valuable Player (MVP). This year was the second time he won that prize, so not only fans but also he was more than surprised. Most of his votes came from the media voters. Los Angeles Lakers’ Cobe Bryant played his 18th and final NBA All Star Game. The Los Angeles Lakers’ completed the game with 10 points, 7 assists and 6 rebounds. Paul George, the player of Indiana Pacers scored 41 points in this year’s NBA All Star game, only one point behind to beat Wilt Chamberlain’s All-Star record. The 25-year-old player said that he was unaware of the fact that he was about to break the record. This year was his return to the NBA All Star game since he was injured in 2014. Zach La Vine, the player for the Minnesota Timberwolves managed to complete a between-the-legs dunk form the three row line. By this brilliant action, he took his second straight dunk contest trophy, and became the fourth player achieved this success after Michael Jordan, Jason Richardson and Nate Robinson. This year’s game took place in Toronto at the fabulous Air Canada Center, first time it was outside of the US. If you would like to read about Air Canada Centre or many other famous must-see arenas, read our basketball news here and put them on your bucket list. 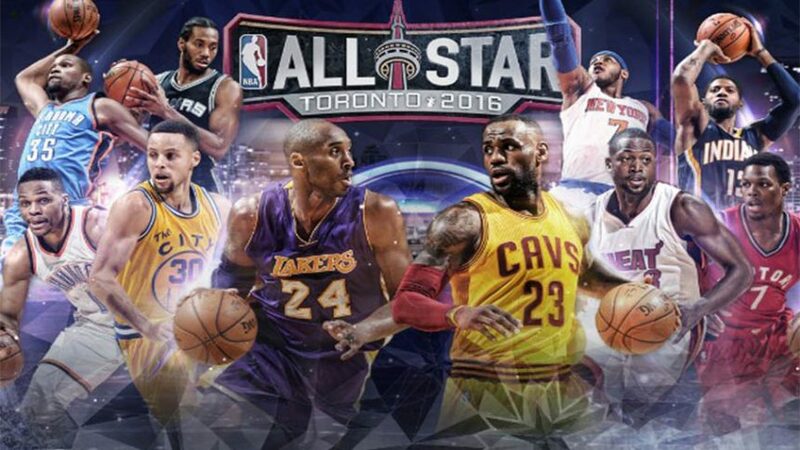 If you already fancy for bet on NBA All Star, read our online NBA betting guide and take your bets before the next game. Luckily, you have more than 300 days to prepare.